Object consists of a trapezoidal shaped section of a magnetic disk from an IBM 350 RAMAC disk drive. 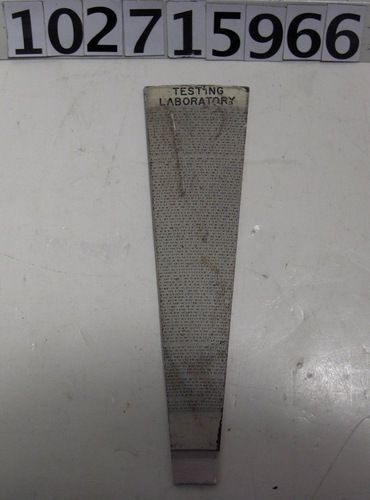 One side shows the original magnetic oxide disk coating and the reverse side has been "developed" to display the magnetic bit patterns as they were written on this device. 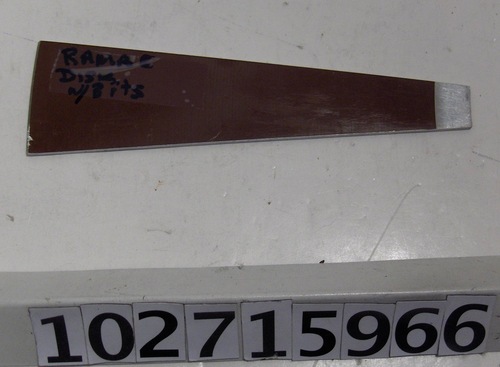 The notation, "TESTING LABORATORY" appears on the bit pattern side and written on tape on the oxide side is, RAMAC DISK w/Bits."